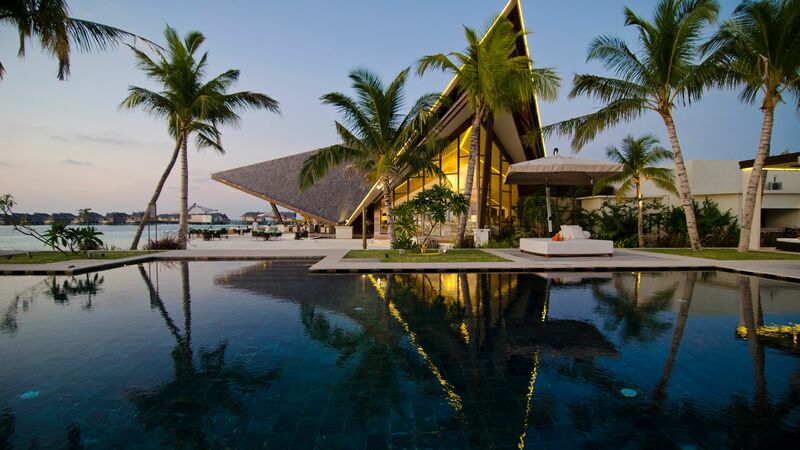 The Jumierah Vittaveli resort is a luxury retreat, offering guests the utmost in relaxation and rejuvenation, found nestled on the island of South Malé Atoll. All of the hotel’s 89 private villas and suites are decorated elegantly in traditional Maldivian design, with their own private swimming pools. Many of the Villas also offer direct access to the beach. Oversized bathtubs and spacious walk-in showers are staple features in all bathrooms, while an exclusive selection host glass flooring, allowing you to observe the tropical waters beneath. The hotel offers a wide range of water activities, including water skiing, catamarans, and kitesurfing. There is also a five star PADI dive centre, offering a carefully curated range of courses for all ages. All this activity will prepare you for the wonderfully crafted meals served at the hotel’s many restaurants, while the Talise Spa allows you to fully relax. Little ones are catered to as well, with a fully staffed Kid’s Club offering lots of fun and activities. Hotel child prices apply to ages 4–11 years old. 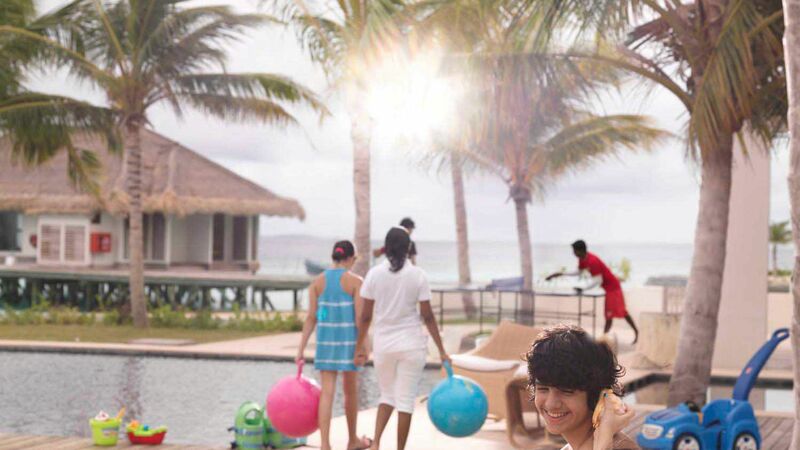 Sovereign does not accept children under the age of 13 in the water villa or over water guest room categories. 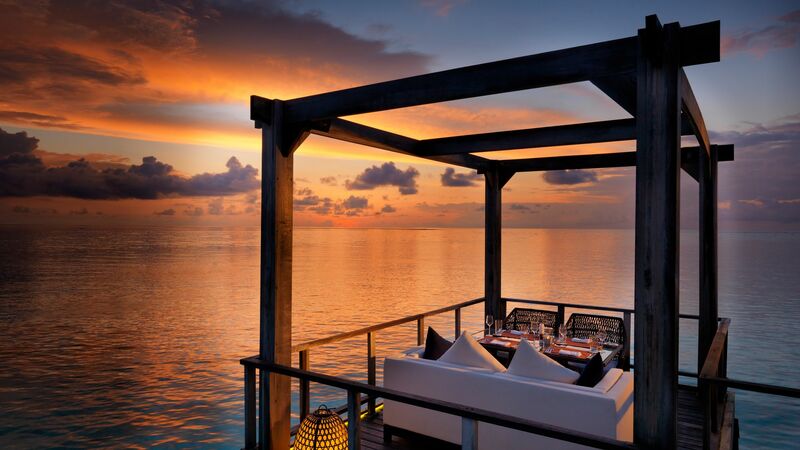 Offering guests a 360-degree panoramic view of the endless blue waters of the Maldives, this is the ideal setting for a romantic meal. The circular layout bar sits right on the water and serves spectacular cocktails and beers into the late hours of the evening. Seating comes in the form of luxury daybeds. Included for Vittaveli Elite Club guests. Contemporary French cuisine can be found on the fine dining menus at Fenesse. A wonderful restaurant with expansive views of the ocean, serving up freshly caught seafood and regional French delicacies, all prepared and provided by an attentive kitchen and waiting staff. Named after the Asian concept of the circle of life, Samsara offers guests a wonderfully curated selection of foods and cuisine from across the globe. Locally sourced and traditional seafood curries, finely produced sushi and succulent prime beef burgers are on the menu. Open: 07:00 - 10:30, 18:30 - 22:30. Included for Bed & Breakfast, Vittaveli Elite Club, Half Board and Full Board guests. With the restaurant's name literally meaning ‘gold’ in Sanskrit, you know that you are receiving the highest form of fine dining available in the Maldives. 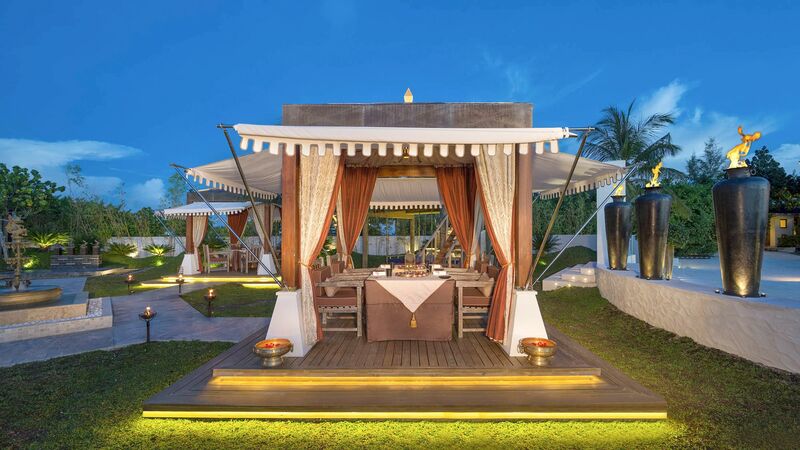 Open air dining cabanas stand within a lush garden surrounding, creating a relaxing and picturesque ambience. The restaurant has been awarded the "Best Indian Cuisine in Asia" by the World Luxury Restaurant Awards in both 2016 and 2017. Open: 18:30 - 22:30. Closed on Saturdays. 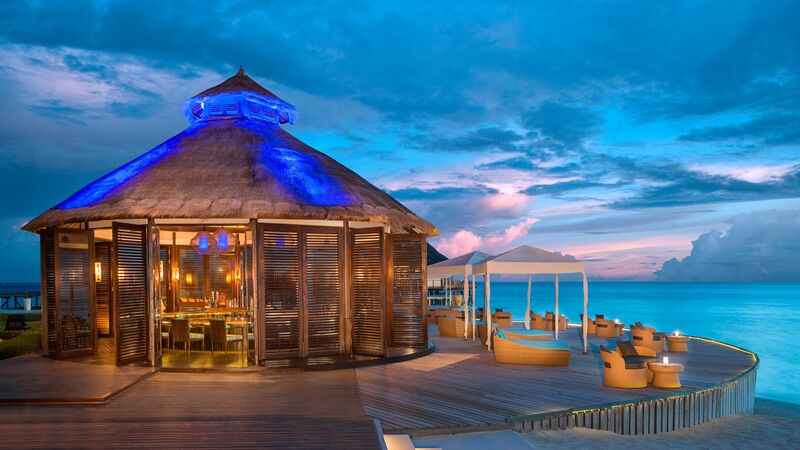 A family friendly al fresco bar and grill set on the stunning beachfront. Watch your meal being grilled right at the table with the hot lava stone speciality and choose from a wide range of cocktails and mocktails with something for everyone’s unique taste. Open: 12:30 - 17:30, 18:30 - 22:30. Closed on Sundays. Jumeirah Vittaveli is completely surrounded by a dazzling white sand beachfront with many of the villas offering direct access to the beach. Every one of the hotel’s exclusive villas features its very own stylish and modern swimming pool. The Kuda-Koli Club offers young guests access to a children’s pool and a large club house where a host of games and activities have been designed to make their stay as enjoyable as possible. Ages: 4 – 13 years. The Talise Spa offers traditional holistic treatments inspired by the island’s local ingredients. 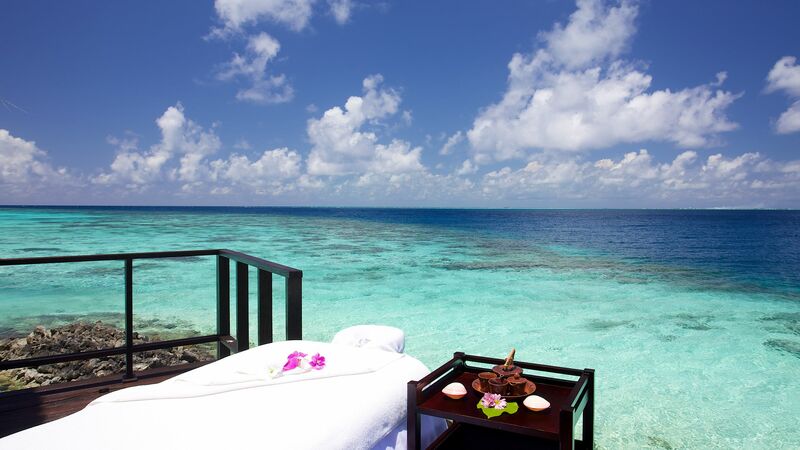 Secluded spaces are available for couples’ massages, offering an intimate experience and true relaxation. 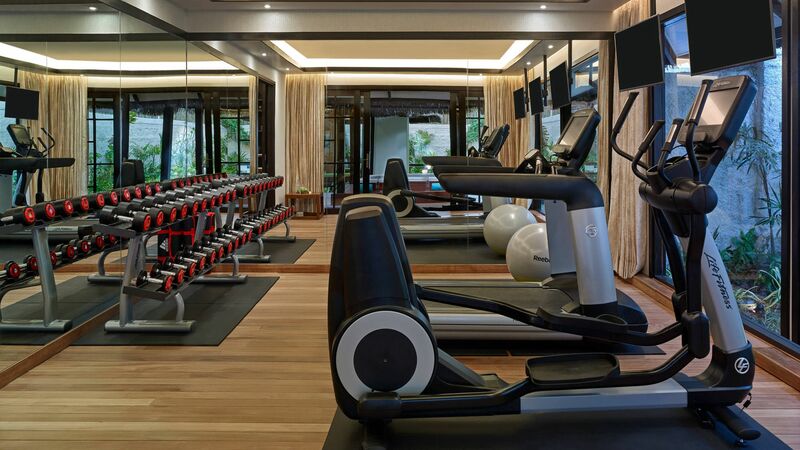 For guests who want to keep fit and active, the Talise Fitness Centre offers a well equipped gym. Enjoy the latest in cardio and resistance machines, free weights, and a host of fitness programmes specifically crafted to your needs. A range of culinary master classes are available to all guests. 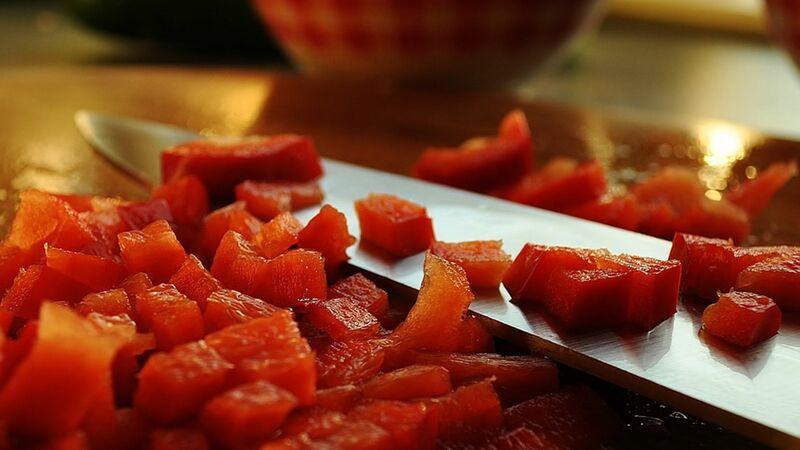 Hosted by the resort’s talented and accomplished chefs, dive headfirst into classes and learn to create wonderfully intricate staples of Asian cuisine or bring yourself back to the basics laid at the heart of all cooking. 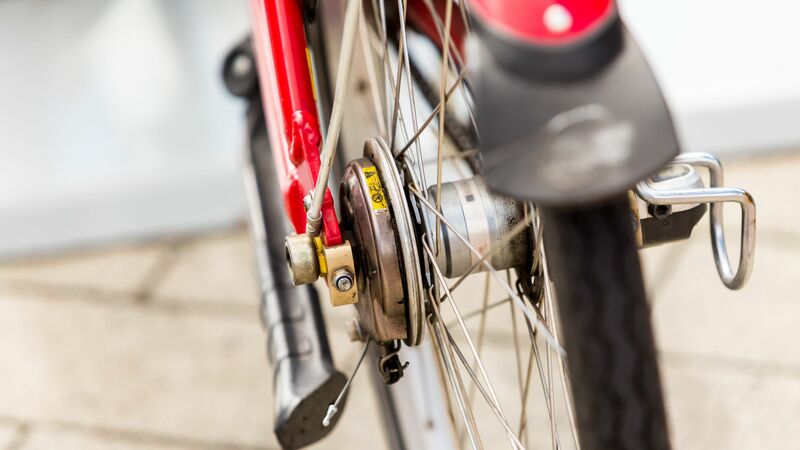 Villa guests can make use of the Vittaveli bicycles. Take in the beautiful sights and sounds of the South Malé Atoll, on your own personally crafted adventure. Children's bicycles are available with prior request. As well as a state of the art water sports centre, the resort also benefits from a diving centre. The team of divers are all fully qualified to undergo a range of PADI courses, from courses designed for younger divers to fully advanced rescue diver courses. 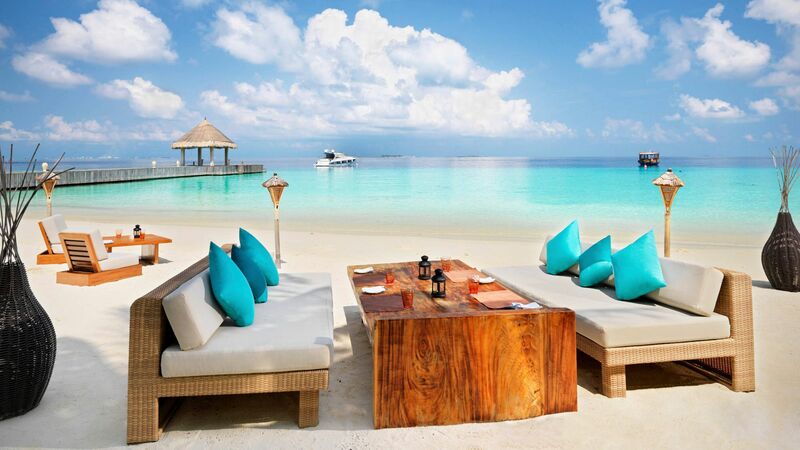 The Maldives offers a vast expanse of over 1,000 islands scattered across a large area of the Indian Ocean. For decades the country has served the world’s luxury vacationers as the standard of holiday perfection; each island playing host to its own private hotel and creating over 1,000 paradise atmospheres. The lush green of the palm trees and tropical gardens found on nearly every island in the Maldives adds to the natural colour pallette of the region. With the greens against the shimmering blues of the ocean and the clear white of the picturesque sandy beaches that line the shore, it becomes harder to picture anywhere else amounting to such a simple level of beauty. 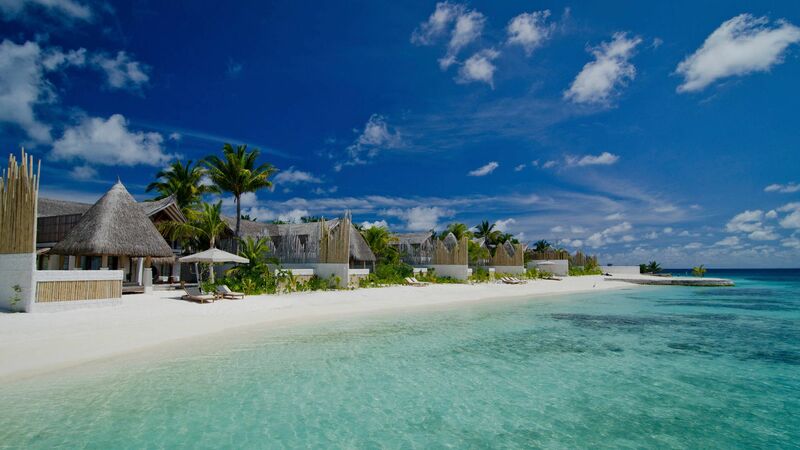 Jumeirah Vittaveli is 25 minutes by speedboat from Male Airport. Beach Villas with Pool have a sunrise view, are approximately 184m² and feature a deluxe king size bed and an open-air bathroom with marble bathtub, dressing area and shower and have views of the beach and ocean. Beach Villas have direct access to the beach and boast an L-shaped private pool and sunbeds. Villa facilities include HD LCD television, Wi-Fi, iPod/iPhone® docking station, mood lighting, hairdryer, minibar, safe and tea and coffee making facilities, Nespresso® machine and Maxi bar. Beach Villas with Pool have a sunset view, are approximately 184m² and feature a deluxe king size bed and an open-air bathroom with marble bathtub, dressing area and shower and have views of the beach and ocean. Beach Villas have direct access to the beach and boast an L-shaped private pool and sunbeds. Villa facilities include HD LCD television, Wi-Fi, iPod/iPhone® docking station, mood lighting, hairdryer, minibar, safe and tea and coffee making facilities, Nespresso® machine and Maxi bar. Sunrise Water Villas with Pool are east-facing and approximately 200m² with magnificent views of the Indian Ocean. Perched over the water, these villas boast a spacious bedroom and living area with glass floor and a bathroom with oversized bathtub and floor-to-ceiling windows. 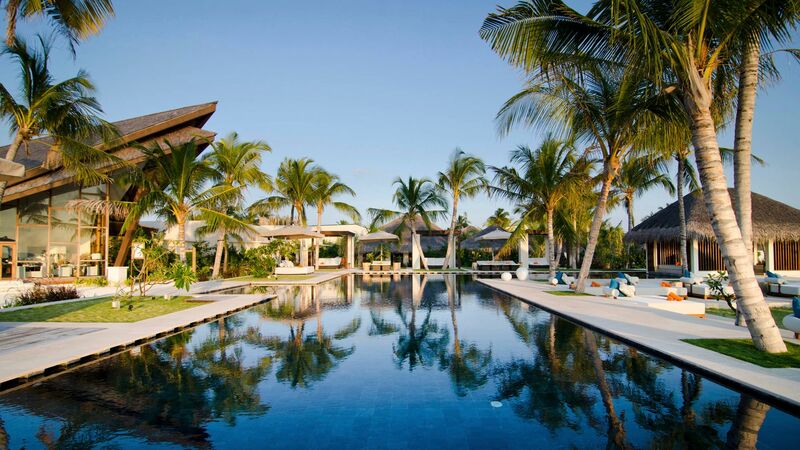 Each area of the villa has direct access to the furnished deck with infinity-edge pool. Sunset Water Villas with Pool are west-facing and approximately 200m² with magnificent views of the Indian Ocean. Perched over the water, these villas boast a spacious bedroom and living area with glass floor and a bathroom with oversized bathtub and floor-to-ceiling windows. Each area of the villa has direct access to the furnished deck with infinity-edge pool. Ocean Suites with Pool are approximately 256m² and are free standing over the ocean and can be reached by a complimentary 24-hour boat service. Perfect for privacy and relaxation, the suite is split over two levels with the bedroom and bathroom located on the first floor with floor-to-ceiling windows boasting magnificent ocean views. The living area with glass floor is located on the ground floor with access to the deck and private infinity-edge pool. Two Bedroom Beach Villa with Pool Sunrise measure approximately 203m². Perfect for families, there is a second bedroom with twin beds, two bathrooms and an Xbox. Two Bedroom Beach Suites with Pool are approximately 302m² and feature the same facilities as above. The Suite comprises of two floors, with the master bedroom located on the ground floor with an open-air bathroom, marble bathtub and shower. The second bedroom is located on the first floor and has twin beds and an en-suite bathroom and a terrace to enjoy the views of the beach and ocean. The suite also boasts a spacious living area and outdoor pool with sunbeds. Honeymoon couples receive a bottle of sparkling wine, complimentary fruit basket and a romantic bed decoration once during their stay for holidays between 20 December 2018 - 09 January 2019. A minimum of 4 nights stay is required and a copy of the marriage certificate of less than 12 months to be sent at the time of booking to quality for honeymoon package. Please call our Trusted Adviser for further details on all festive offers. What a place, a true corner of paradise with some of the best service I've ever encountered. From the moment you hit their airport lounge until they drop you back, nothing is too much trouble and any request is met with a smile. Our pool villa was breathtaking, while the azure waters of the Indian Ocean were exactly 14 paces away, meaning we snorkelled at every opportunity. Incredible variety and quality of food, brilliant activities but also a slice of your own personal island whenever you wanted to retreat to the huge villa. If only everything in life was as perfect! We (2 adults and 2 teenage sons) have just returned from a 7 night trip to Vittaveli and stayed in a private ocean retreat, that was just newly equipped with a slide. It was a perfect stay in every way. The room was outstanding, newly and nicely refurbished. The slide was great fun both for the kids and the adults. (Note: It is actually quite fast and not really suitable for smaller children, especially when unsupervised). When you enter the water you find a nice reef immedately with more reefs around the resort. We have not been around to too many Maldives resorts, but in our judgement it was great - we could see a lot of fish. A big plus are the restaurants and the bars. Primarily, the Fenesse (French) Restaurant is outstanding and has a wonderful romantic atmosphere. Our favourite was the B4R Bar for Drinks and Snacks. It overlooks the lagoon and it is a great place to relax, decorated in a wonderful style. The services are excellent - butler service (Nabeel), Housekeeping (Ibrahim) did an outstanding job. Everybody else was also extremely professional. Lastly I need to mention the water sport acitivities centers (Best Dives). They are also professional and very curteous. We did big game fishing, a tour to dolphins and turtles, parasailing, jet ski, semi-submarine and one of the "behing pulled behind a boat" things. The quality of the equipment is outstanding and we had a truly great time. In summary: out of all the resorts we have been to in the Seychelles and Maledives, this was the most variety and professional service. We believe it is the perfect place if you want a great quality resort close to Mahe (only 30 minutes with a very stylish boat) and great infrastructure in terms of water sports, restaurants and bars. We will certainly come back. What a wonderful, truly incredible 11 nights we have just enjoyed at the Vittaveli. Very comfortable water villas. Several great restaurants to choose from, all with waiter service. 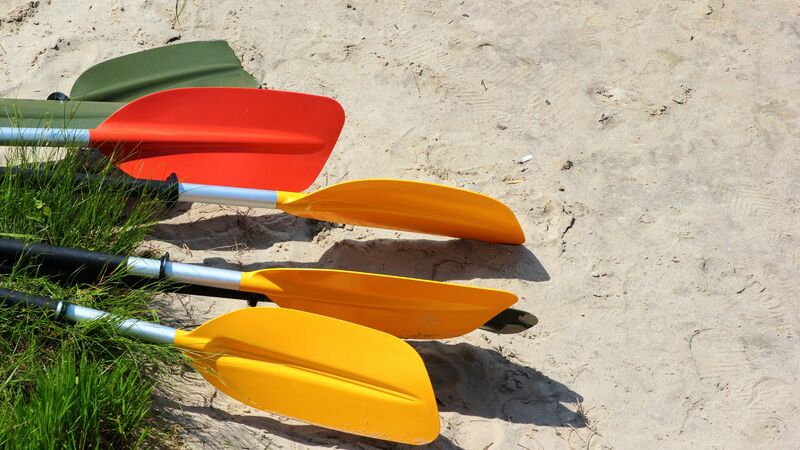 Great range of watersports including SCUBA, waterskiing, jetskiing, flyboarding. This resort was truly fabulous, everything we wanted and more. My only disappointment was an amount of rubbish in the sea around the resort. I feel as though there should be some kind of ongoing sea-clean as, ultimately, that's why we're all visiting. Would we return? You bet we would. It's just like the brochures, and for us, it was most certainly Paradise Found.